Huge load area. Loads of interior space. Quiet and refined. Good value for money. Panoramic glass roof eats into headroom. 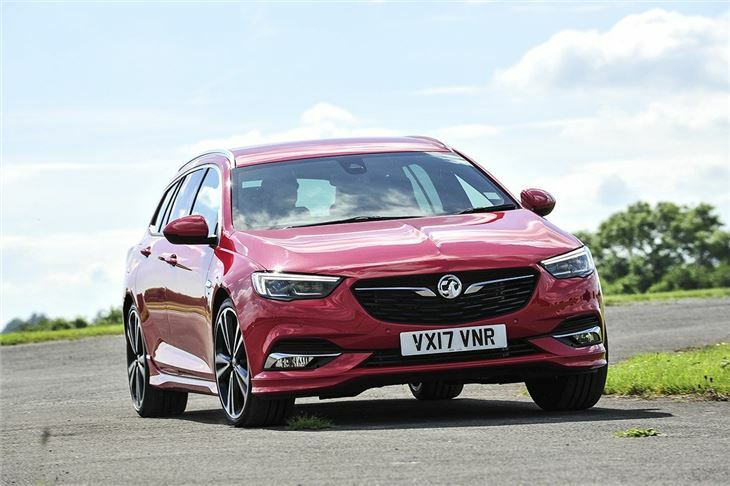 Lacklustre 1.6-litre diesel engines. Some cheap details in the cabin. 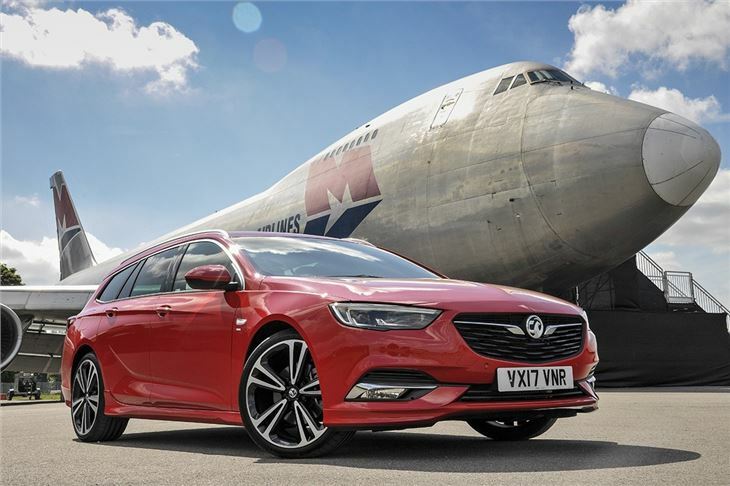 If you’re looking for load space, the Vauxhall Insignia is easily one of the best family estate cars around. 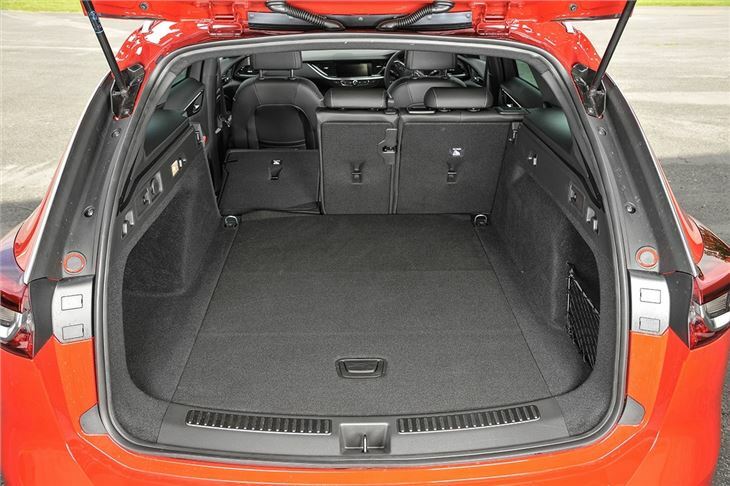 Plus it’s relaxed and comfortable to drive with enough space for adults in the back. The engine range isn’t all that impressive and the interior could use better materials – but there’s still a lot to like. 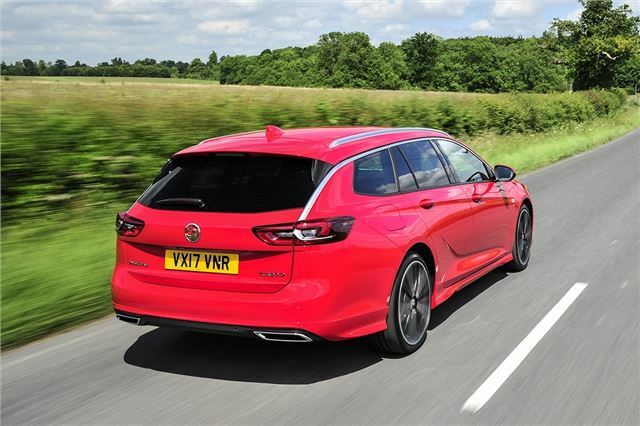 The boot is obviously the most important bit of any estate and, on that front, the Insignia is great. The load capacity may trail behind estate versions of the Skoda Superb and Volkswagen Passat, but at 560 litres it is larger than a Ford Mondeo Estate and a significant step up over the outgoing model. Getting awkward items like pushchairs in and out is easy since the load deck is low, wide and long, plus there is no load lip. If you need a little more space, one touch buttons flip the rear seats down almost completely flat, freeing up a huge 1665 litres of capacity. Garden centre trips and flat packs won’t be a problem. As is typical for Vauxhall, the engine range is very broad. There are petrol engines with 140PS, 165PS or 260PS, along with diesels producing 110PS, 136PS, and 170PS. Since most Insignias end up as company cars, the 110PS and 136PS diesels will make the most sense because they have the lowest emissions. The drive isn’t particularly fun, but it is quiet and relaxed. Not much wind or engine noise gets into the cabin even at motorway speeds and bumps are ironed out well,. 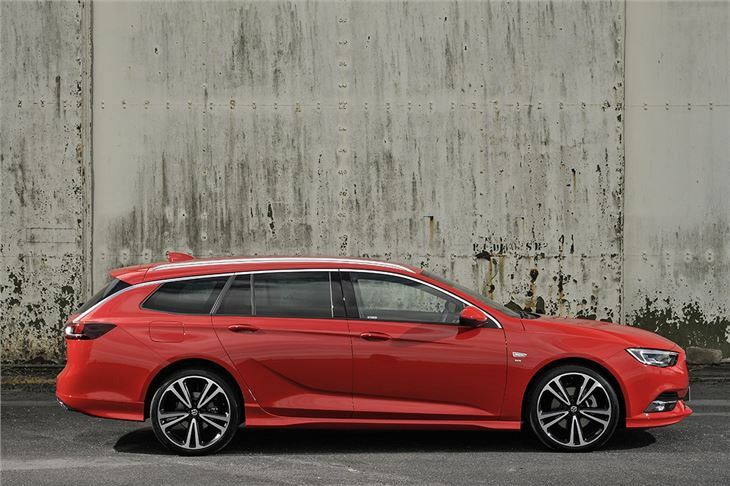 Yet through corners the Insignia Sports Tourer is reassuringly capable and has plenty of grip. And, if you need even more traction, you can get a 4x4 version. Equipment levels are reasonable across the almost bewildering array of trim levels. All versions come with a touchscreen, air conditioning and cruise control, while navigation is standard on most trim levels. There are lots of safety gizmos on offer too including adaptive cruise control and lane assistance. The Skoda Superb is more spacious, better to drive and has a much better interior finish. 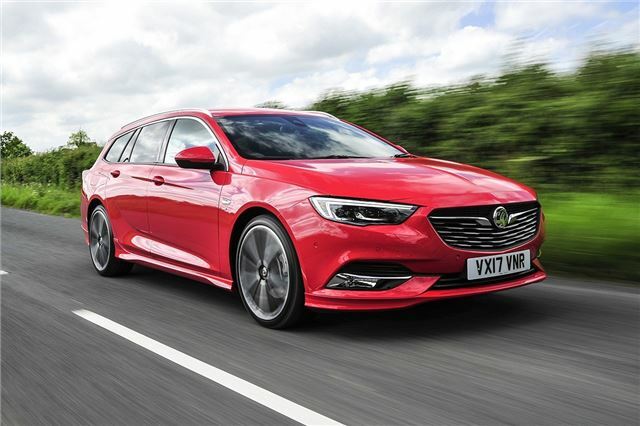 But for outright space the new Insignia Sports Tourer is excellent – and when you consider its extremely competitive pricing it starts to look like very good value for money, despite a few small flaws.